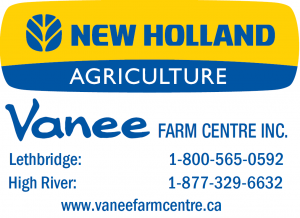 Home › Alberta › High River › Farm Equipment Suppliers Near Me in High River › Vanee Farm Centre Inc.
About Vanee Farm Centre Inc.
Visit us at our Lethbridge or High River, Alberta locations and see the difference our famous service makes. You'll understand why we're Southern Alberta's largest New Holland dealer and the farmer's choice. We've been proud to be part of the New Holland family since 1987. Give to Vanee Farm Centre Inc.
You will receive updates from Vanee Farm Centre Inc.